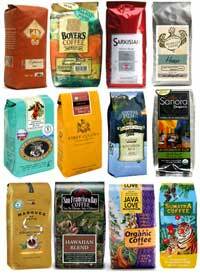 For Coffee of the Month Club we have partnered with our friends at the Clubs of America Coffee of the Month Club . We chose them because of the quality and care they take in making their selections. Each month includes two distinctive coffee selections totaling a one and a half pounds in your choice of ground or whole bean.